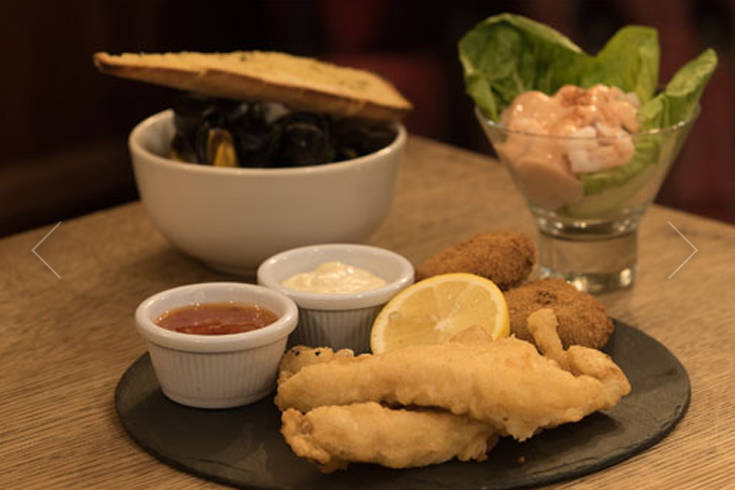 Enjoy 2 courses for just £11.95 every day between 4pm-7pm! 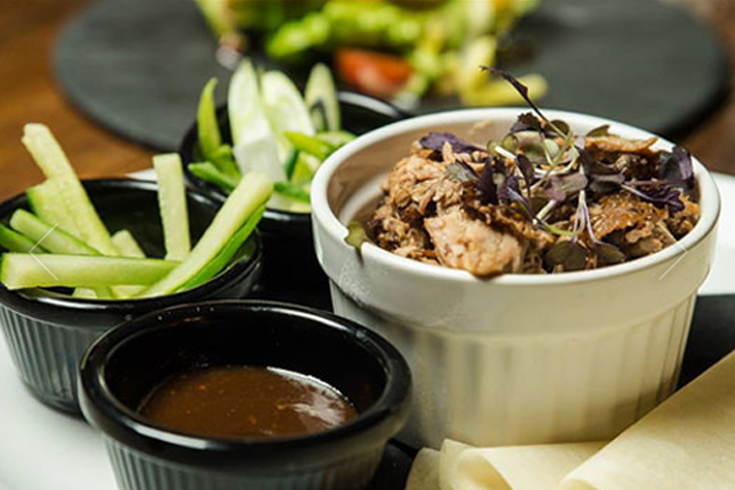 You can even upgrade to three delicious courses for just £14.95. Please note this offer cannot be used in conjunction with any other offer. Book online for free text confirmation or call 0113 415 1853. 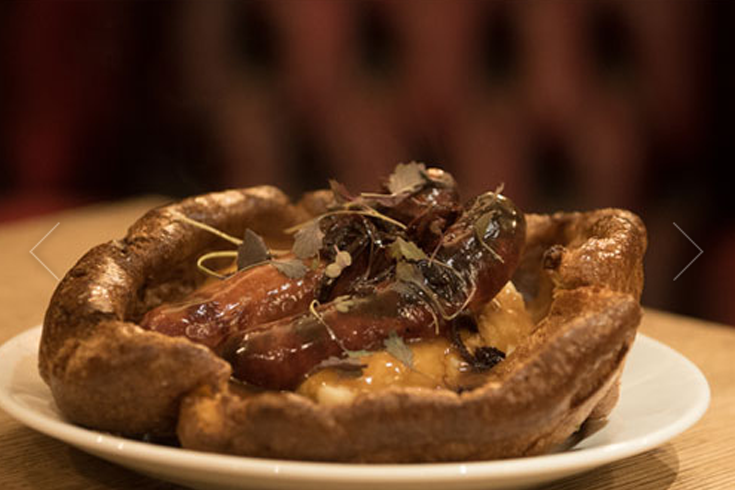 Tuck into a delicious roast every Sunday between 12pm-6pm. Choose from 3 roasts, served with roast potatoe, creamy mash, cauliflower cheese, seasonal vegetables, Yorkshire puddings and lashings of rich gravy. Or try all three meat options for just £12.95! Book online for free text confirmation or call 0113 415 1853. For just £7.95 treat your little ones to a delicious meal and dessert for just £7.95 or enjoy any of the mains for just £5.95! Book online for free text confirmation or call 0113 415 1853. Come down to The New Conservatory Bar & Kitchen and everyday you can enjoy a happy hour between 5pm to 10pm. Two drinks for just £5.50! Book online for free text confirmation or call 0113 415 1853. Early bird menu, happy hour on drinks, good food, good service, happy to change ice-cream for custard with sticky toffee pudding. Fish and chips were excellent. From the moment we walked in the staff were friendly but not pushy. The food was beautifully cooked. Great that staff had the time to talk to us and we were not 'just a number'. Will be back! Accommodated 8 of us at very short notice. Starters came quickly but we waited a while for our mains. Restaurant was very busy and the staff never stopped running about. Steak pie had far too much salt in for my taste and too many chips which were good but I ate 2 and left 7. Would definitely pop in again. Maybe for lunch. My wife & I were both surprised & disappointed. The setting was excellent, the service was top drawer but the food was a bit of a let down .We opted for a Sunday lunch 2 course meal. The leg of lamb was too be honest not very good at all, our dessert although tasty was miniscule in it's size, at £30+ we expected better. Nice restaurant, excellent waitress, food came within very reasonable time especially as it was very busy. Ordered from the Early Bird Menu Vegetarian Nachos which were very good and made in house. Vegetarian Burrito was not as described, there was no mixed vegetables or refried beans. Pointed this out to the waitress and she apologised and came back with the veg but unfortunately no beans. Explanation was given that it was a new chef and no beans in stores. We were offered a free dessert or round of drinks which we were happy with. The food was nicely cooked and the veg when it arrived was really good. The staff were friendly and service very good, we would go again with the hope that the chef is familiar with the menu and the service will be as good. Quantities were excellent. Food quality was very good. Service was good despite being busy. No complaints and will go again! Had a fantastic Sunday Roast at the New Conservatory last weekend. Top quality beef and fresh veg = perfection! 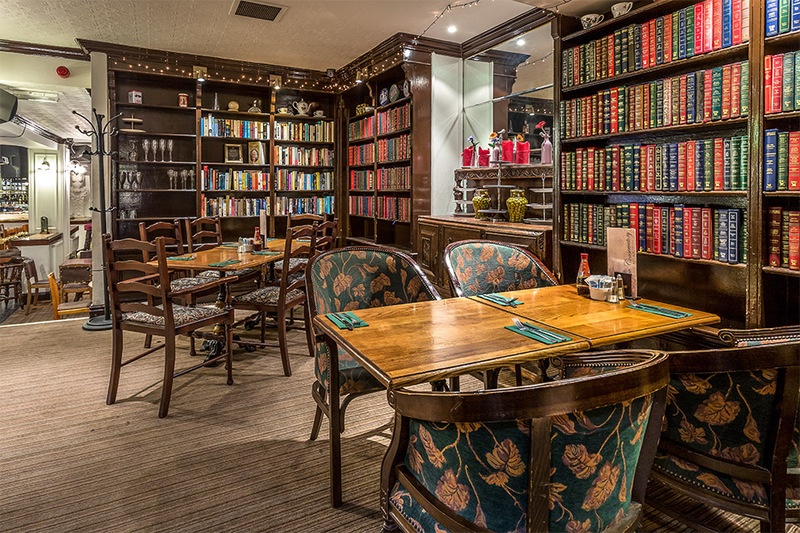 Love the whole library-style dining room too! Very clever! 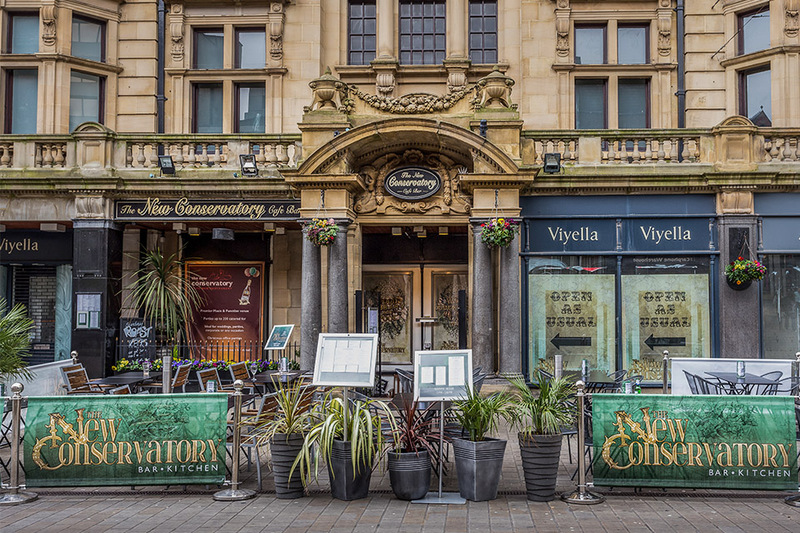 Located a short walk from Trinity Leeds shopping centre, The New Conservatory in Albion Place is a wonderful escape from the outside world, providing a great selection of food from around the world as well as hot and cold beverages. 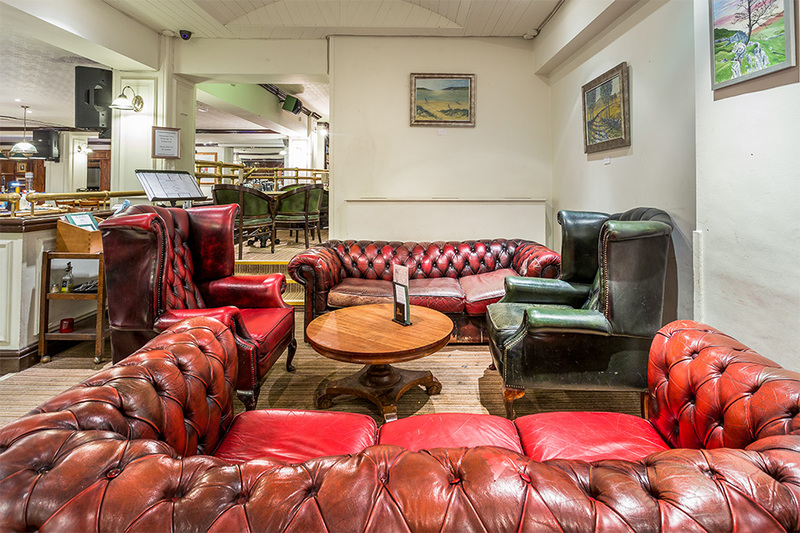 New Conservatory has a long distinguished history as one of Leed's oldest favourite bar. It’s hard to pin down the type of cuisine the restaurant serves: instead, there is a superb variety of Indian, Chinese, British and Mediterranean dishes that are sure to satisfy everyone’s tastes. A favourite is the ‘catch of the day’ which, as the name suggests, varies depending on the fresh fish that has been brought in. There are also very popular sharing platters which are perfect for groups, including the continental tapas platter for a delicious taste of Spain. Although the menu is vast, they manage to keep the excellent level of quality alongside the quantity. 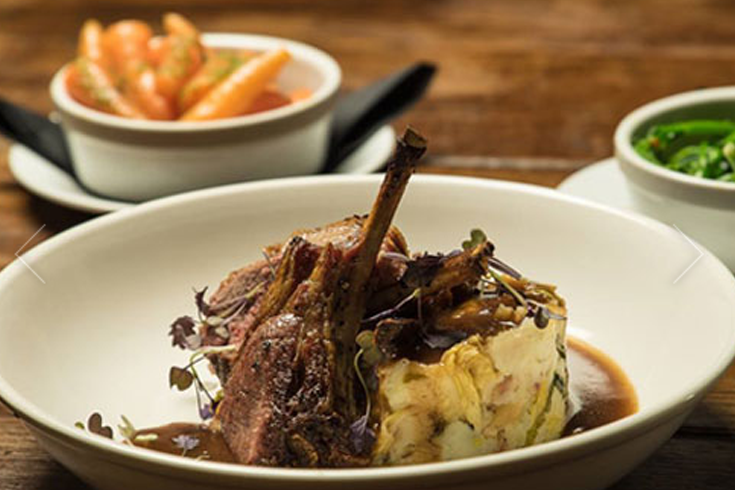 Head chef Michelle Hudson prides her menu on using local produce from Kirkgate Market wherever possible, so every dish has a home-cooked feel. Customers can rest assured that their food is the very best it can be. 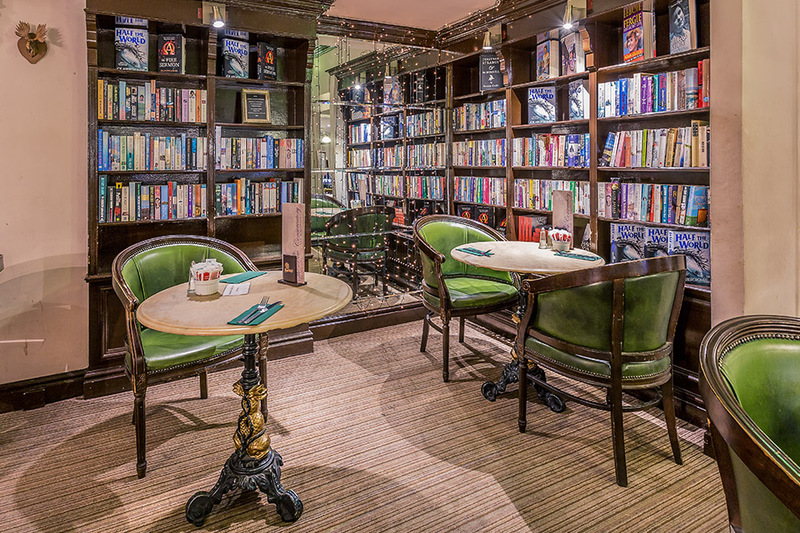 Not satisfied with being just a restaurant, The New Conservatory proves itself to be a jack of all trades, turning its hand to bar work and afternoon tea in its own café too. The bar stocks an impressive selection of wines, cocktails, cask ales and spirits; even the café has a choice of alcoholic hot drinks, including an espresso martini and a Bailey’s hot chocolate. 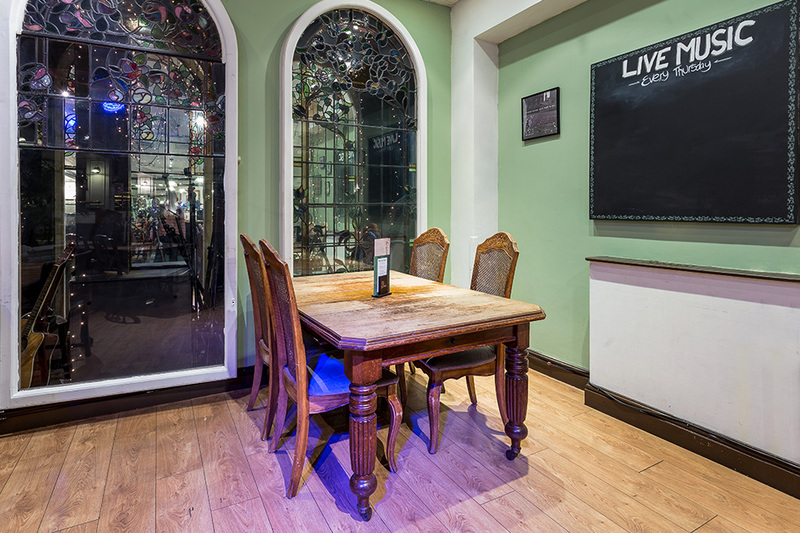 Whether it’s a Sunday roast with the family, coffee and cake with a friend, or a few cocktails after work, The New Conservatory Leeds provides exactly what you need. 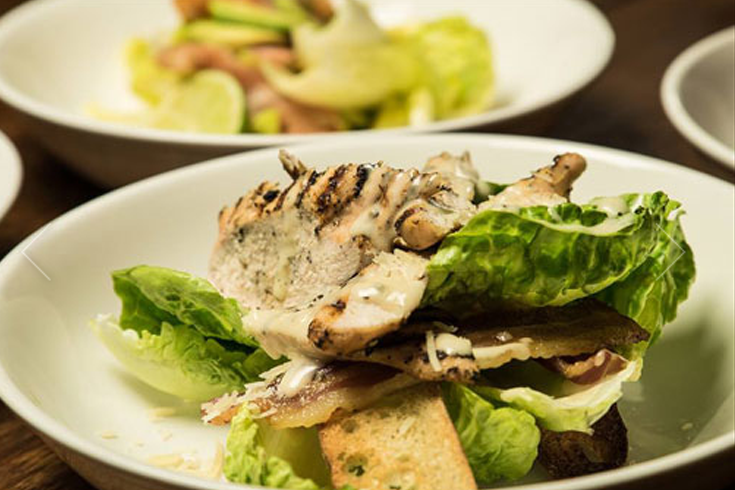 Enjoy 2 courses for just £11.95 every day between 4pm-7pm! 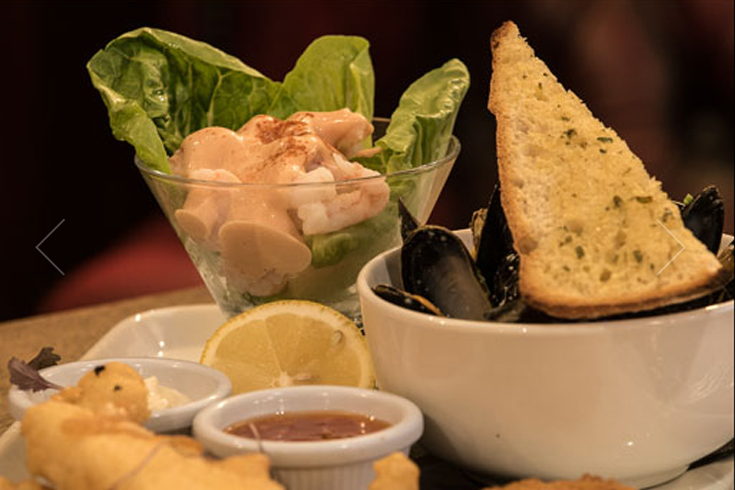 You can even upgrade to three delicious courses for just £14.95. Please note this offer cannot be used in conjunction with any other offer. Tuck into a delicious roast every Sunday between 12pm-6pm. Choose from 3 roasts, served with roast potatoe, creamy mash, cauliflower cheese, seasonal vegetables, Yorkshire puddings and lashings of rich gravy. Or try all three meat options for just £12.95! 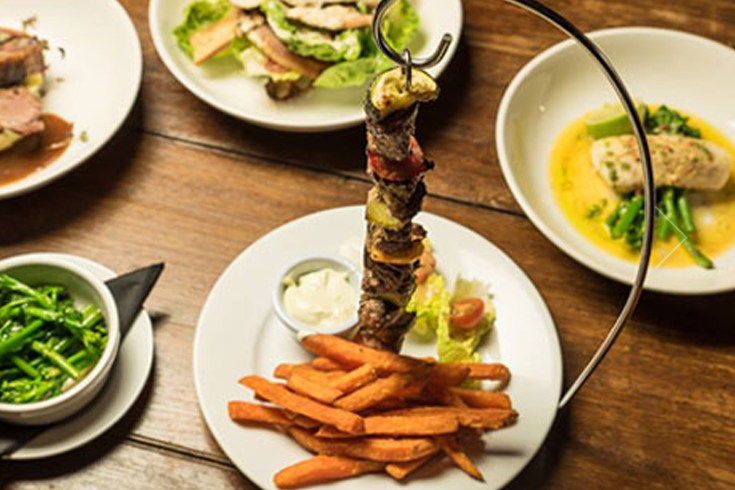 For just £7.95 treat your little ones to a delicious meal and dessert for just £7.95 or enjoy any of the mains for just £5.95! Come down to The New Conservatory Bar & Kitchen and everyday you can enjoy a happy hour between 5pm to 10pm. Two drinks for just £5.50!